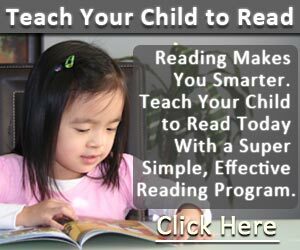 Super Effective Program Teaches Children Of All Ages To Read. Incredible Results . No Other Programs Can Teach Kids To Read Like Ours Can. Learning to read is very different from learning to speak, and it does not happen all at once. There is a steady progression in the development of reading ability over time. The best time for children to start learning to read is at a young age – even before they enter pre-school. Once a child is able to speak, they can begin developing basic reading skills. Very young children have a natural curiosity to learn about everything. They are naturally intrigued by the printed texts they see, and are eager to learn about the sounds made by those letters. You will likely notice that your young child likes to look at books and thoroughly enjoys being read to. They will even pretend to behave like a reader by holding books and pretend to read them. At what age can you start teaching a child to read? When they’re babies? At 2 years old, 3, 4, or 5 years old, or wait until they’re in school?